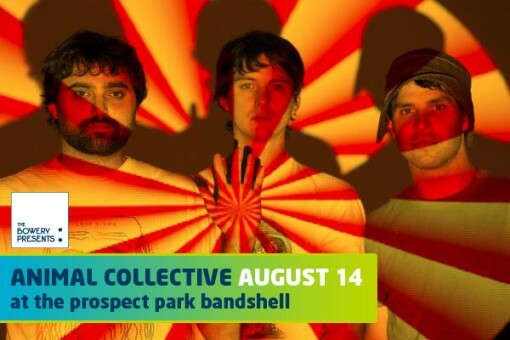 Animal Collective will be playing a benefit show for the Celebrate Brooklyn! concert series on August 14, 2009 at the Prospect Park Bandshell. Tickets for that show go on sale to the general public Wednesday, March 25th at 12:00 PM. I’ve also started making a 2009 Celebrate Brooklyn! unofficial schedule over here.